The future of renewable energy, primarily wind and solar, is intertwined with the development and deployment of energy storage technologies. This Energy Technology Distillate describes the fundamentals of energy storage, including leading technologies and their challenges, key costs, and important regulatory initiatives that are acting to drive commercial deployment. Power produced from wind and solar has grown quickly over the past decade. Between 2001 and 2011, global wind capacity grew tenfold and solar electricity capacity grew forty-fold. In 2011, the two sources produced 2.4 percent of the total global supply of electricity. However, further integration of wind and solar into the grid will become increasingly difficult because these sources are both intermittent and unpredictable. Unpredictable sources of power present a challenge for the grid: when a customer turns on a light, high-quality electricity must be available to meet the demand. Energy storage systems offer a possible solution by absorbing electricity from the grid when it is plentiful and providing electricity to the grid at a later time. Multi-hour energy storage systems could increase the renewable portion of electricity delivered to customers, and thus significantly reduce greenhouse gas emissions associated with power generation using fossil fuels. Storage also could help overall grid performance, allow better management of conventional power plants, and provide more options for providing power in emergencies. Capacity: how much energy the battery can hold, measured in watt-hours (Wh). 100Wh would be enough energy to run a 100W light bulb for an hour. Power: how quickly a battery charges and discharges, measured in watts (W). A 100W battery could light a 100W light bulb at full brightness but not drive a 1,500W hairdryer. Round-Trip Efficiency: how much of the energy used to charge the battery is retrievable later, measured as a percentage. Cycle Life: the number of times the battery can be charged and discharged before the capacity is reduced below some useful level. As a practical matter, the economic comparison of energy storage to other options currently comes down to the price of natural gas. Gas-fired turbines respond quickly to fluctuations in supply and demand, and are thus an obvious choice for pairing with wind and solar. Using basic math to factor in both capital and operating costs reveals that the second option is cheapest even when natural gas prices are much higher than they are today. As natural gas prices rise, pairing wind and gas becomes economical; at even higher prices, replacing gas with storage becomes attractive. Adding a carbon tax or other incentives could make storage financially attractive at lower gas prices. Battery technologies for grid-scale storage can be evaluated by six criteria: power, capacity, cycle life, efficiency, cost, and safety. No current technology excels at all six. With new applications, including electric vehicles and grid-scale storage, addressing trade-offs among these criteria becomes the focus of most battery research. Lead-acid batteries (such as those found in automobiles to start engines) are low cost and relatively safe but require trade-offs between useful power, useful capacity, and the number of cycles before replacement. Lithium-ion batteries (found in cell phones) have high power density and high energy density, but would be very expensive at the grid scale because extensive cooling is currently required for safety and long life. Sodium-sulfur batteries (under development primarily in Japan) achieve high power and long life but are at risk of extreme fires. The costs of monitoring and engineering to operate safely are too high at present to make this option competitive aside from a handful of applications. Entirely new battery technologies are being developed but so far remain “beaker-scale” experiments. Their characteristics are not established sufficiently to extrapolate their potential performance at grid-scale deployment. One such approach seeks to maximize the amount of material devoted to storing energy as opposed to providing structural support. This approach uses materials that naturally renew and restructure themselves each time the battery is charged, so that it can be cycled a very large number of times. Another approach to long cycle life seeks materials that incur only minimal disruption during charging and discharging. This second approach lowers costs by making cycling predictable and reducing failure rates. Some types of variation in the supply and demand of energy are predictable: people’s tendency to use lights in the evening; seasonal patterns of sunlight; standard weather fronts. These can be used to plan energy generation.  Energy from wind and solar introduces a much higher level of uncertainty due to unexpected fluctuations. Many mechanisms exist to turn on or off (dispatch) conventional electricity sources – coal and gas – to meet predictable patterns of demand. But these mechanisms entail lags in both the planning process and the ability of the generators to respond. The advanced notice required to respond to unexpected change varies dramatically. At one extreme, automatic controllers tune generators based on signals every two to four seconds; at the other extreme, maintenance for nuclear power plants is planned a year in advance. Natural gas-fired turbines can be turned on and off entirely in response to calculations forecasting 45 minutes ahead. By contrast, decisions to operate coal-fired steam generators must be made 12 to 36 hours in advance. Taken together such decisions create complex interactions, but provide a powerful hedging mechanism that allows the grid to handle even unpredicted variations as large as a few percent. However, a wind energy source can quickly drop to zero, and even when wind power from many sources is combined, total electricity from these sources still fluctuates unpredictably. If wind were powering even 20 percent of the grid, new methods would be required to adapt to such volatility. For individual homeowners and businesses trying to supply their own electricity via solar, the grid acts like a big backup battery. But at high penetration levels, the increased variability places significant stresses on the power electronics and the planning processes. Even in regions such as Denmark and Spain or Iowa and South Dakota, known for deriving a substantial amount of power from wind, smooth operations require reliance on grid connections to a broader geographic area and other types of power. Use of fossil fuels is causing a rise in atmospheric carbon dioxide (CO2) at a rate of one percent every two years. Coal and natural gas power plants contribute 40 percent of the world’s CO2 emissions. To what extent could those emissions be eliminated by wind and solar, for some specific region or grid? A substantial literature makes the case that an electricity system powered by 80 percent and even 100 percent renewables is potentially achievable. However, formidable challenges would need to be overcome for such an outcome to emerge. Clearly, the whole job could not be done by wind and solar, both of which are not only intermittent, but partially unpredictable, even when multiple facilities are combined, each with its own time variation. The rest of the job could be done by some combination of a) renewable energy sources that can run all the time and are predictable (“dispatchable”), such as hydropower, biopower, and (in some locations) geothermal energy produced from heat deep underground; b) load shifting to match the intermittency (e.g., a clothes dryer can be set to run only on windy days), a key element of the emergent concept of the “smart grid”) additional wind and solar facilities that collect and store extra power for delivery when it can be used, typically many hours later.  The high cost of multi-hour storage is one of the most serious detriments to an all-renewable power system. Second-best, from the standpoint of CO2 emissions, would be a system where energy from natural gas fills in when renewable energy supply falls below grid demand. A grid powered half by carbon-free renewables and half by natural gas would produce one-fourth as much carbon as a system producing the same amount of electricity entirely from coal (since natural gas power on its own emits half as much CO2 as coal power and the use renewable energy, in some guises, entails negligible CO2 emissions). For many, “one-fourth of coal” is too high; for others, it’s a victory. Emissions from such a hybrid system could be further reduced by as much as 90 percent by adding CO2 capture at the gas-fired plant and storing the CO2 deep underground. But this is probably a mismatch, because the modified natural gas plant would be less nimble and better suited (in terms of technology and economics) for running at constant output. Federal and state policies have contributed to the falling costs of wind and solar installations and might contribute similarly to energy storage, although public policy support for storage has been limited so far. About half of the states – mainly in the Southeast and West – have a conventional regulatory scheme in which a state commission regulates utilities in exchange for granting a monopoly over a vertically integrated set of roles: generating, transmitting, and distributing power. The rest of the states have undergone partial deregulation, separating these roles and creating competition in the electricity generation segment. Responsibility for transmitting electricity falls to independent grid operators called Regional Transmission Organizations, which operate across state lines and are federally regulated. These two regulatory models affect investment in new technologies. Under conventional regulation, a Public Utility Commission could mandate use of storage and allow the utility to charge ratepayers for the extra costs of early deployment. In deregulated states, federal rule-making can promote innovative deployment of storage technology by rewarding its special features. In both models, utilities must meet reliability standards, which storage could help achieve. Storage also could help address unintended consequences of state and federal regulations designed to promote wind and solar power. Current incentives do not specify what time of day the electricity is provided, meaning that subsidized wind power, which tends to be available at night, may be abundant when not needed. Coal-fired plants are best run at constant power, because they are expensive to ramp up and down. Therefore, when wind power is abundant and inexpensive, a coal plant can be forced to sell electricity below its cost of production, while wind energy that could have been put on the grid is thrown away (“spilled”). Other recent federal regulations are more specifically targeted at promoting storage. For example, one regulation rewards faster response in controlling the frequency of alternating current (AC), which storage systems are well suited to providing. California recently established the nation’s first targets for procuring energy storage and also forbids utilities from owning a majority of storage operations, encouraging independent operation of storage systems. Robert Socolow is a professor emeritus and a full-time member of the senior research staff in the Department of Mechanical and Aerospace Engineering at Princeton University. His research is primarily focused on global carbon management and climate change. As co-principal investigator for the Carbon Mitigation Initiative, Socolow has helped launch research in carbon-cycle science, low-carbon energy technology, and associated policy. With colleague Stephen Pacala, Socolow invented “Stabilization Wedges,” a concept that facilitates planning to limit carbon emissions. Socolow is also the director of the Climate and Energy Challenge of the Princeton Environmental Institute, an endeavor that supports blended efforts in teaching and research. Socolow is an associate of the National Research Council of the National Academies, a fellow of the American Physical Society, and a fellow of the American Association for the Advancement of Science. He earned his Ph.D. from Harvard University in theoretical high energy physics in 1964 and joined the Princeton faculty in 1971. In 2003, he was awarded the Leo Szilard Lectureship Award by the American Physical Society. He was elected a member of the American Academy of Arts and Sciences in 2014. Disclosed research funding, consulting, and board memberships in the energy sector over the past five years and current financial interests in the energy sector as of May 2014. Craig Arnold is a professor in Princeton University’s Department of Mechanical and Aerospace Engineering. He also serves as director of the Program in Materials Science and Engineering and is an associate director of the Princeton Institute for the Science and Technology of Materials (PRISM). He is the Princeton director of the Nanotechnology for Clean Energy IGERT, a joint initiative for graduate training at Princeton and Rutgers universities, funded by the National Science Foundation. Arnold’s research ranges from basic science to entrepreneurship in the general area of materials synthesis and processing with interests in energy storage and conversion, advanced optics, and photonics. His recent work in energy storage seeks to improve the reliability and lifetime of lithium-ion batteries by identifying previously unrecognized mechanisms for degradation and engineering better systems to mitigate these issues. He earned his Ph.D. in condensed-matter physics from Harvard University in 2000, and was a National Research Council post-doctoral fellow prior to joining the faculty at Princeton in 2003. Previous awards include the Office of Naval Research Young Investigator Award and the National Science Foundation Career Award, and more recently, an R&D 100 award, a Laser Focus World-OSA technology innovation award, and an SPIE PRISM award for photonics innovation. Greg Davies is a graduate student in the Department of Mechanical and Aerospace Engineering. Currently, he is a researcher in the Princeton Lab for Electrochemical Engineering Systems Research (PLEESR). His present project involves flow battery research for potential transport and grid scale energy storage applications. Previously, he worked for the Australian division of BHP Billiton Petroleum in project, drilling, and production operations engineering roles. Davies graduated from The Australian National University in 2006 with a bachelor of engineering in mechanical engineering and a bachelor of science in theoretical physics. Thomas Kreutz is a senior technical staff member of the Princeton Environmental Institute. His research addresses energy generation from fuel cells, gas turbines, coal, and biomass. His recent research has included the design of heat-recovery steam cycles and analysis of fuel cell power plants. In his work with the Carbon Mitigation Initiative, a partnership between Princeton University and BP, Kreutz works to produce carbon-free, economical sources of power from fossil fuels. Kreutz’s industry experience includes membership in the external advisory board of the Sunshine to Petrol (S2P) project and membership in the FutureGen Surface Technical Experts Group. Kreutz received his Ph.D. in chemistry from Princeton University in 1988, and was a post-doctoral fellow and research scientist at Columbia University before joining the technical staff at Princeton in 1990. He has three patents and nearly 50 peer-reviewed journal articles in his name. Warren Powell is a professor in the Department of Operations Research and Financial Engineering at Princeton University. Powell’s research has recently focused on problems of uncertainty and decision making in the field of renewable energy. Previous work addressed complex problems in transportation logistics, where he developed models that stabilized the trucking industry after it was deregulated. He is the founder of the Computational Stochastic Optimization and Learning (CASTLE) Laboratory, which develops practical algorithms for use in energy systems, transportation, complex materials and health sciences, among other applications. He also founded the Princeton Laboratory for Energy Systems Analysis (PENSA), which analyzes new energy technologies and policies. Additionally, Powell started the consulting firms Princeton Transportation Consulting Group in 1988 and Transport Dynamics in 1995. After receiving a B.S. in engineering from Princeton in 1977, Powell went on to MIT, where he earned his M.S. (1979) and Ph.D. (1981) in civil engineering. He has written two books and 200 papers, and has received a number of awards for his research. He is an Informs Fellow, and has served in a number of leadership positions in his community. Michael Schwartz is the Gerhard R. Andlinger Visiting Professor in Energy and the Environment at Princeton University. His expertise lies in commercial energy project development and energy policy. With over 35 years of experience in the energy industry, Schwartz has worked at numerous U.S. companies including Shell, Conoco, and Duke Energy. He currently is the CEO of New Wave Energy Capital Partners. He received his Ph.D. in chemical engineering from Princeton in 1976. Daniel Steingart is an assistant professor in the Department of Mechanical and Aerospace Engineering and the Andlinger Center for Energy and the Environment at Princeton University. His research interests include energy storage, cost- and energy- efficient batteries, in situ electrochemistry, and power in energy control circuits and hybrid design. He is the head of the research group Princeton Lab for Electrochemical Engineering Systems Research (PLEESR), which explores energy solutions on both the macroscopic and microscopic scale. Before arriving at Princeton, Steingart was an assistant professor at City College of New York, a Senior Applications Engineer at the software analytics company Sentilla, and a researcher at the Nanotechnology Research Institute AIST in Japan. In 2006, Steingart co-founded Wireless Industrial Technologies, a company that provides energy-efficient solutions for heavy industries. Steingart received his Ph.D. in materials science and engineering from University of California, Berkeley in 2006. Since then, he has published multiple peer-reviewed journal articles on topics ranging from battery technology to micropower materials. The contributors would like to acknowledge the helpful discussions and advice of Scott Baker, Christopher Berendt, Tanya Bodell, Felix Creutzig, Jack Feinstein, Daniel Jiang, Willett Kempton, Elena Krieger, Zachary Kuznar, David Marcus, Adje Mensah, David Mohler, Greg Olsen, Daniel Salas, Warren Scott, Chris Streeter, and Samir Succar. The Andlinger Center for Energy and the Environment is grateful to Nicholas G. Nomicos ’84 and Kathleen Connor Nomicos ’84 and an anonymous donor whose gifts helped to realize this Energy Technology Distillate.